Two things came together to create the impetus for the proposed park – the ongoing work of the National Trust for Historic Preservation, which in 2002 named the Rosenwald Schools of the American South to its annual list of most endangered historic places in America,and the 2015 documentary film, “Rosenwald,” directed by filmmaker Aviva Kempner. Inspired by the film, representatives of the National Parks Conservation Association (NPCA) and the National Trust began meeting in 2016, exploring the possibility of a National Park. Other highly dedicated volunteers soon joined the Campaign. The Campaign envisions the Rosenwald park to have a visitor center in Chicago interpreting Rosenwald’s contributions to Sears Roebuck and his overall philanthropic activities. Complementing the Illinois component will be a small number of extant Rosenwald School sites selected by the National Park Service (NPS) in collaboration with planning partners in the 15 states in which the schools were built. The Campaign has undertaken a significant number of activities to advance its goal. 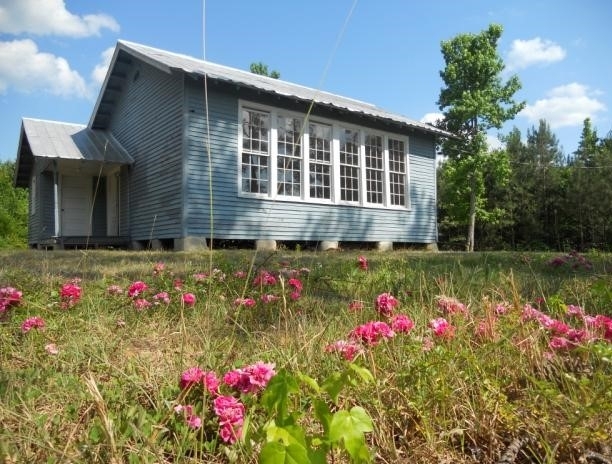 In 2017 it solicited recommendations of up to five Rosenwald Schools from the State Historic Preservation Officers in each of the 15 states in which the schools were constructed. All responded with 14 states recommending 55 Rosenwald Schools and one teacher’s house for evaluation for possible inclusion in the park. The Campaign also prepared draft legislation to ask the Secretary of Interior to direct the NPS to conduct a Special Resources Study (SRS) of the sites associated with the life and legacy of Julius Rosenwald, with special emphasis on the Rosenwald Schools. This study is a key step on the path to the legislation establishing the Park. The Campaign is currently coordinating with Congressional staff to obtain sponsors and co-sponsors for the legislation mandating the SRS. To date 13 organizations have signed a letter of support for the legislation. The Campaign also concluded that a historic context study was needed to contribute to the SRS to be conducted by NPS and contracted with EHT Traceries to perform the study. The final study report, which contains summary information on all 56 Rosenwald facilities recommended by the 14 states, will be submitted to the NPS and will aid in the evaluation of the sites associated with Julius Rosenwald’s life and legacy.